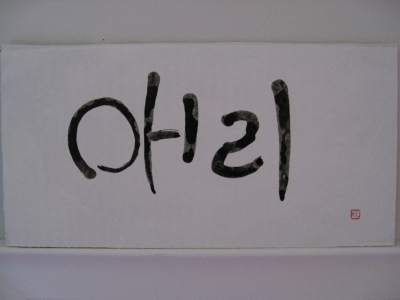 This words are Korean,which are pronounced ae ri. Ri means clever or bright. These are Ms.Aeri Oh's favorite words.